The high profile murder of Sunday Leader Founder Editor Lasantha Wickrematunge, has taken a new twist with the Colombo Telegraph reliably learning that another Army Intelligence Officer who was also allegedly involved in the murder of the well-known journalist was exonerated by Court in 2012. The Colombo Telegraph is in possession of information that confirms that Kandegedara Piyawansa, an Army Intelligence Officer who had been involved in obtaining five SIM cards in the murder operation of Wickrematunge, was acquitted by the Mount Lavinia Court, which not only ordered for his release from remand, but also exonerated him from all charges and the TID which was investigating the case at that time had not objected to the move. Piyawansa was accused of purchasing five SIM cards which were used in the murder operation of Wickrematunge. Piyawansa is alleged to have purchased the SIMs under the name of Pitchai Jesudasan whose ID card was stolen by Piyawansa. Jesudasan reportedly died in remand custody under natural causes during the tenure of Mahinda Rajapaksa’s presidency. TID was also investigating the case on grounds that Jesudasan had terrorist links. According to highly placed sources, Piyawansa had served in the contingent of former Army Commander Sarath Fonseka, and when Piyawansa had been brought before court he had been heard making a loud remark at the Court to the effect that certain officers of the Army and CID had not fulfilled the promises made to him provided he named Field Marshal Sarath Fonseka in the case. Soon after Piyawansa’s outburst, the Army had pushed for his release. Piyawansa subsequently made a statement before the Mount Lavinia Magistrate who ordered the then IGP to follow up the matter, which however was never followed up. Incidentally, the lawyer who appeared for Piyawansa was reportedly Good Governance activist and Director of both Transparency International and its Sri Lanka chapter J. C. Weliamuna. He is also a advisor to the President Maithripala Sirisena. Continuous attempts by the Colombo Telegraph news desk to contact Weliamuna failed. When a journalist from Colombo Telegraph spoke to him on August 4, 2016 at around 1.21 p.m. he informed the journalist that he was at a meeting and to call after 6.00 p.m., when the journalist called him back at 6.09 p.m. on the same day, another person who picked up Weliamuna’s mobile said that he was still busy and to call him later that night. However, despite numerous attempts by the journalist to contact him, all calls signaled as ‘line busy.’ The Colombo Telegraph then emailed Weliamuna several questions, and also sent two text messages to him, to which he chose not to respond, although both the emails and the text messaged were delivered. “1) Records show that you appeared as Counsel for Kandegedara Piyawansa, in the High Court of Mount Lavinia, who was an accused held in remand at an earlier occasion in connection with the murder of Lasantha Wickrematunge. Is this correct? 2) Were you successful in obtaining bail for Kandegedara Piyawansa in this instance? 3) Did the Army pay to retain you? all charges dismissed in connection with the murder case? 5) Were you aware that Kandegedara Piyawansa was in the Army Intelligence contingent of General (at the time) Sarath Fonseka at the time you appeared for him in connection with this case? 6) Have you appeared for any other Army Officer in court at any time after the murder of Lasantha Wickrematunge? 8) Did the Army pay for such appearance/s? Highly placed sources within the security establishment say that several DIGs of the CID and even the TID are well aware as to who was behind Wickrematunge’s assassination in January 2009. According to them, the arrest of the other Army Intelligence Officer Premananda Udalagama in connection to Wickrematunge’s murder is a step in the right direction. Udalagama who was arrested in July this year over Wickrematunge’s murder is also facing charges in the attack on former Editor of Rivira Newspaper Upali Tennakoon. The attackers followed a similar assault style on Tennakoon, although they ensured that the level of force used on Tennakoon was only meant as an injury and not to kill, unlike in Wickrematunge’s case where he was also shot. Incidentally, at the time of Tennakoon’s attack, the Rivira Newspaper was a pro Rajapaksa paper after the change of management which was originally owned by the Richard Pieris Group. In 2008, a close ally of former President Mahinda Rajapaksa, Nilanka Rajapaksha, bought majority shares (51%) of the company (and Mahiada Rajapaksa’s nephew Prasanna Wickramasoorya bought 49%) which subsequently also affected the independence of the newspapers published by the group. Tennakoon was attacked just days after Wickrematunge’s assassination in January 2009, and according to defence sources it was an attempt by the government to show they had nothing to do with Wickrematunge’s murder. “They tried to portray that even a newspaper editor in support of the government was being attacked, in their effort to distance themselves from the killing of Wickrematunge,” sources said. 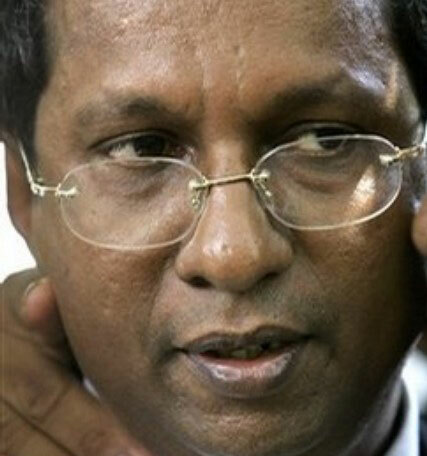 Wickrematunge was a strong critic of the then Rajapaksa government and various groups have accused several high profile officials of the then government including former Defence Secretary Gotabaya Rajapaksa and ex-Army Commander Sarath Fonseka as the main strategists behind the assassination. Meanwhile, defence sources have also highlighted the need to exhume the body of Jesudasan, to verify if he actually died from natural causes while in remand custody. Relatives of Jesudasan had said that soon after his death, a person saying he was from the President’s Office had visited Jesudasan’s home in Nuwara Eliya and had promised a sum of Rs. 500,000 to his family, which has increased suspicion as to who is actually involved in Wickrematunge’s murder. « No Better Option Is Currently Visible: Should We Give The Sirisena-Ranil Combo Another Term?